Back: Joy Robinson (resident), Laura Mewett (Lendlease Licensee). Middle: Bunny Depayne (resident), Brendan Widdowson (Village Manager). Front: Kay Leek (resident). 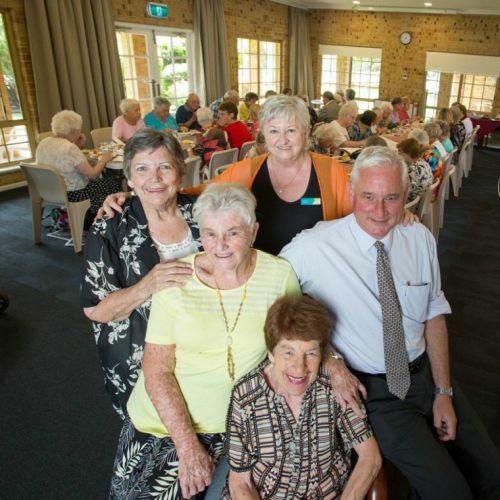 RESIDENTS at Bibra Lake’s Lakeside Village took part in an event with fellow residents to celebrate Neighbour Day. Held on the last Sunday in March, the event brings together the community for a drink and some food to build better relationships with the people who live around us. The local village held a Neighbour Day luncheon where residents spoke about the role of neighbours in their lives. Village resident Joy Robinson said isolation was not something she was keen on. “I moved here because of the neighbours in my old suburb. I didn’t know them anymore, no one knew anything about me and I felt very alone,” she said. “But here, I know my neighbours’ routines and they know mine.